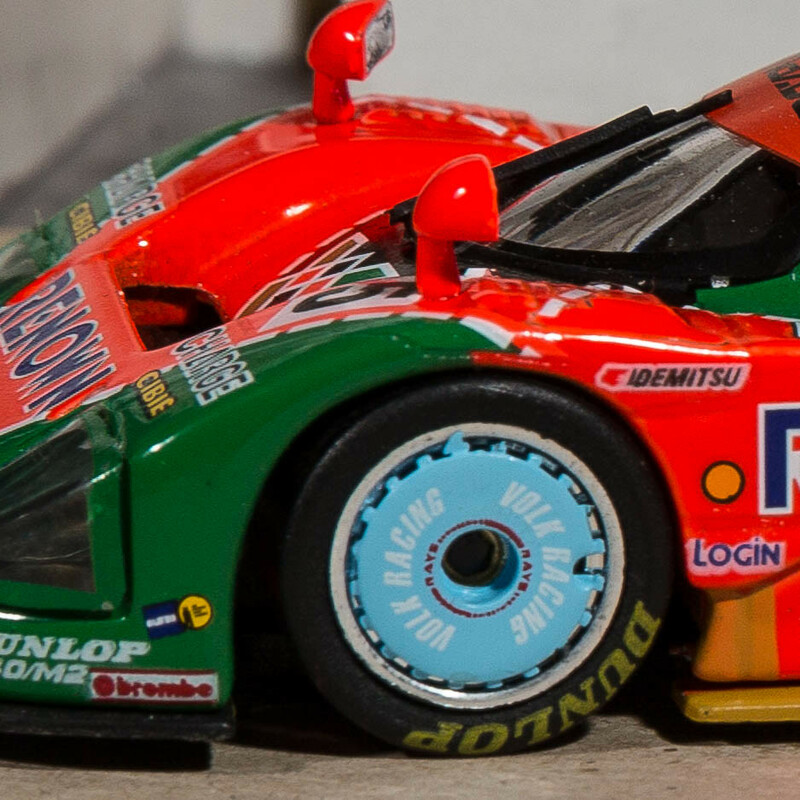 You can really see the quality of the Minichamps model in the wheels etc. 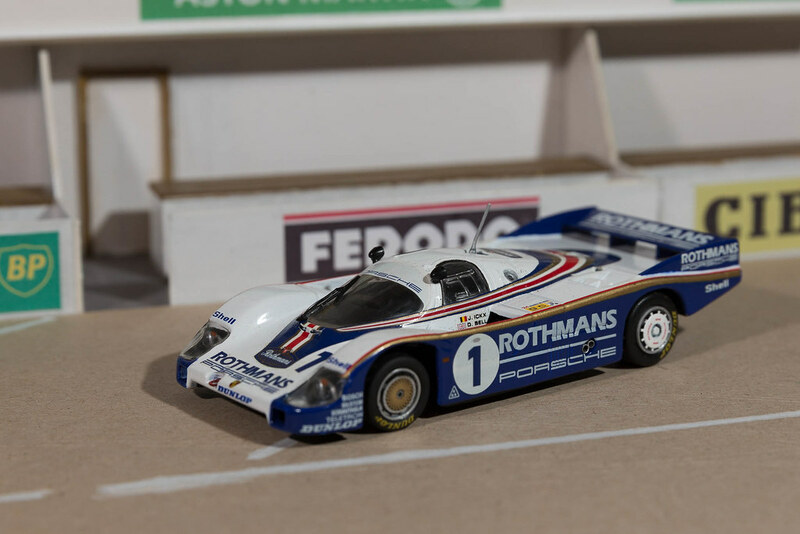 That's not to say that the Quartzo model is bad, it's an old model as it came with the Rothmans livery out of the box. 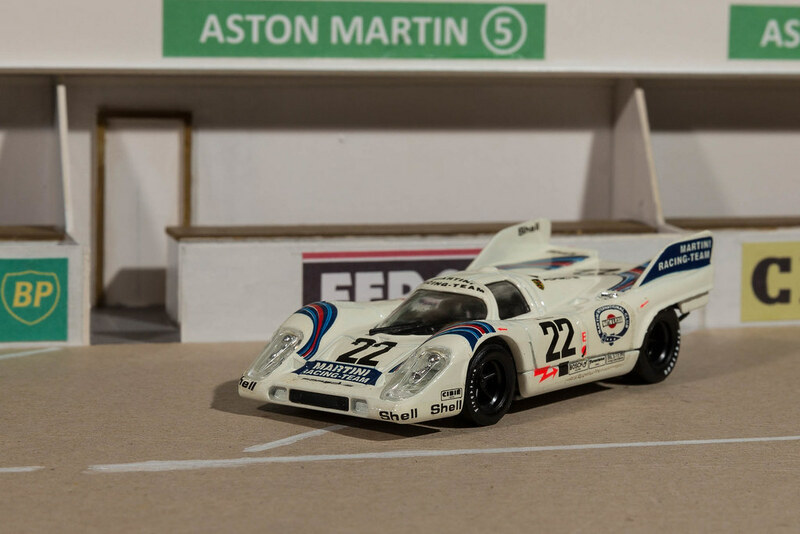 I know the pit diorama is the wrong era for the cars but I think it's better than a plain background, need to do a Goodwood FoS/Revival paddock diorama. 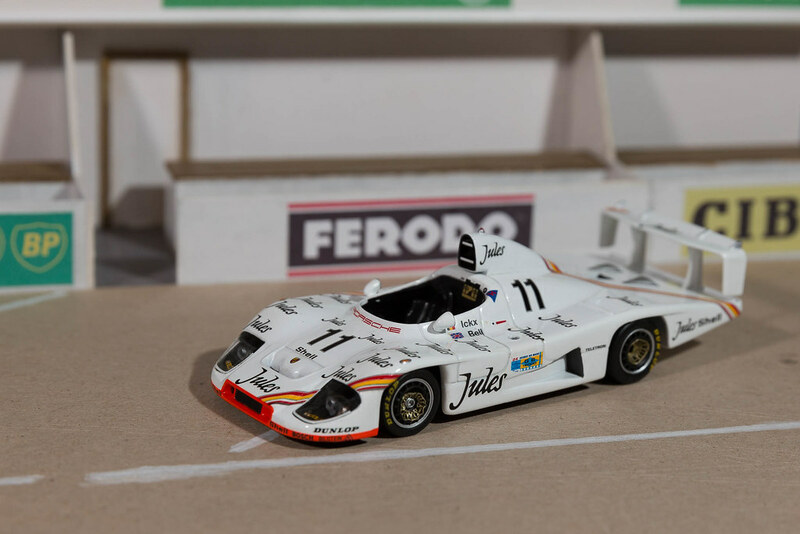 Also I was experimenting with aperture with some of the single car images to try and blur the background a bit, think I went a bit too far, these were at f4 or f8 normally I use f20 need to try f16. 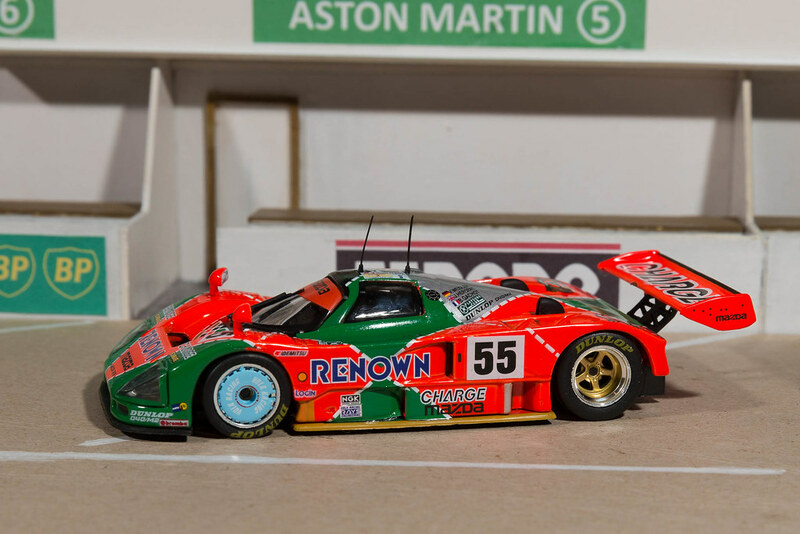 I've got a CMR 956 on order will be interesting to see how it compares, also a Brumm 917 and an IXO 956 in the loft to compare. 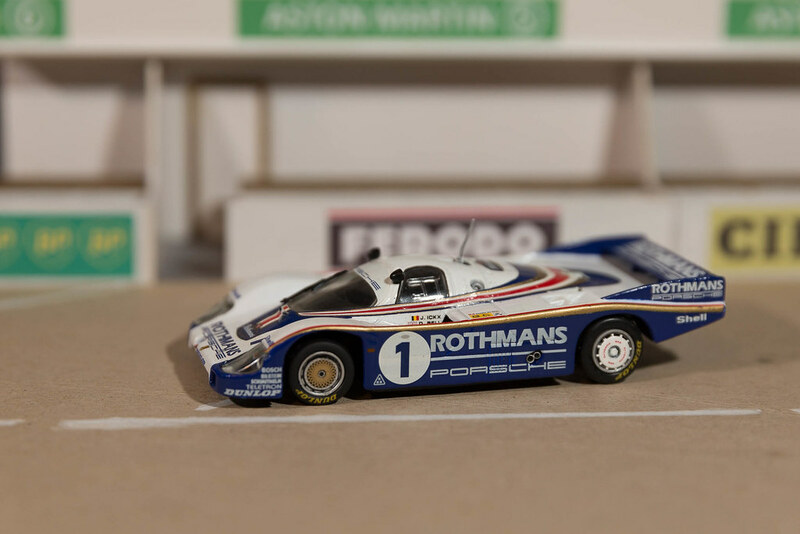 I blame this lot on ade36 after reading his post I bought a CMR Porsche 956 (pictures to come) and them made the mistake of visiting CK-modelcars bit of a mixed experience with them. 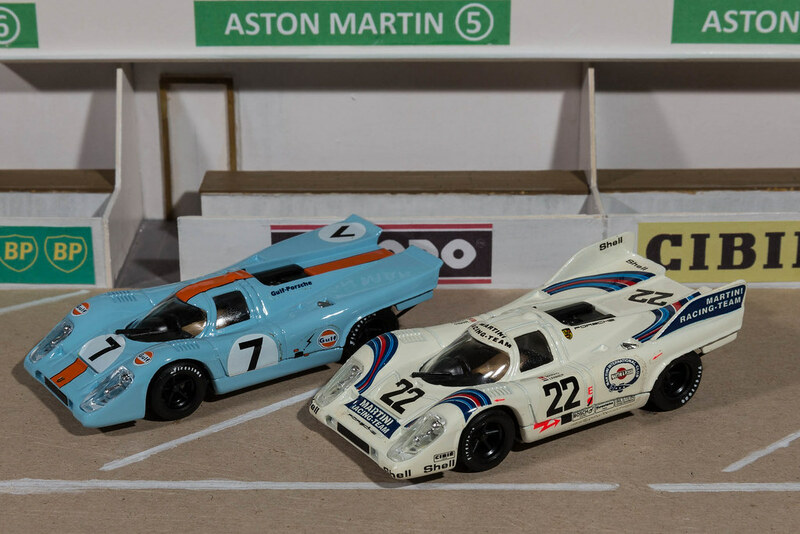 I managed to buy 2 versions of the same model, one in a blister pack and one in a case (so I have an extra 1963 Ferrari 250P) and the Mazda model arrived with a cracked base they've offered a replacement with my next order (so I might also have a spare Mazda Le Mans 787B). 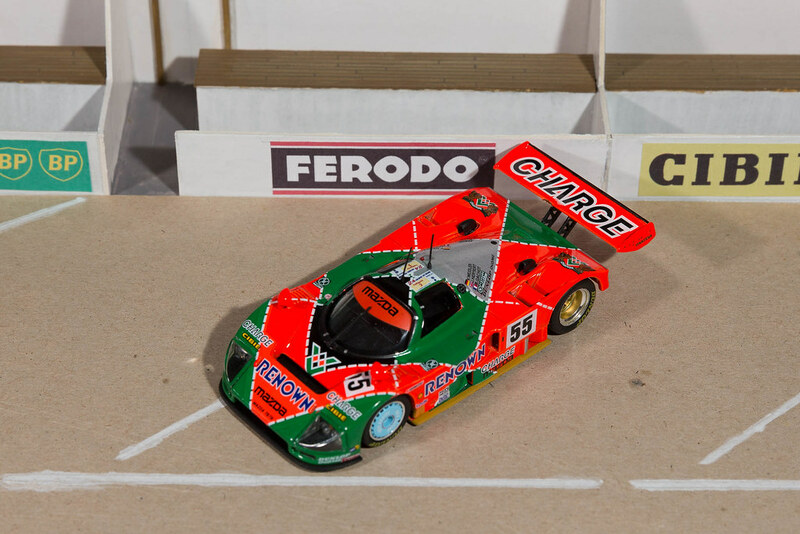 Anyway enough about that what about the models, first a Mazda (I think luckyseven might like this one) as part of my Le Mans winners collection the Mazda 787B from 1991 (Weidler, Herbert, Gachot) an ixo model and not bad value at £25. 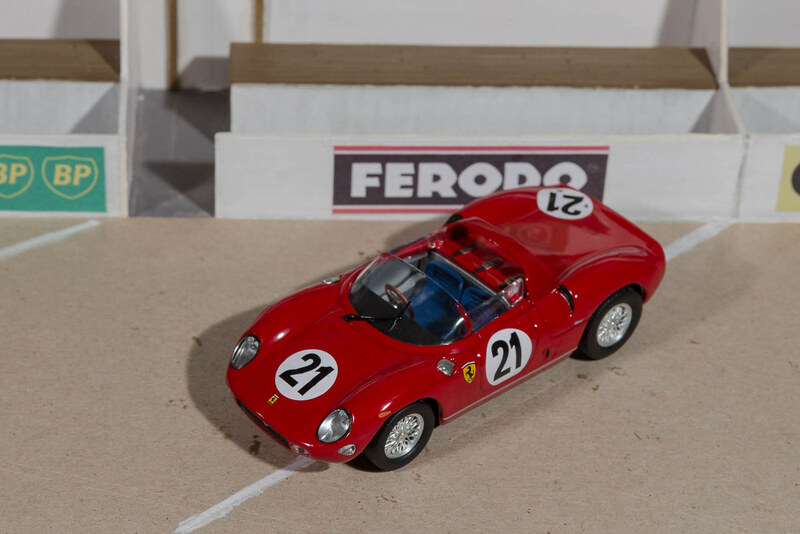 I also got another Le Mans winner the 1963 Ferrari 250P (Sarfiotti, Bandini) an Altaya model, at only £9.95 (the extra one I ended up with in the blister pack was only £7.95). For the money really good model, the interior has exposed chassis rail and fire extinguisher. Wheels could be better but taht's what always lets the cheaper models down. 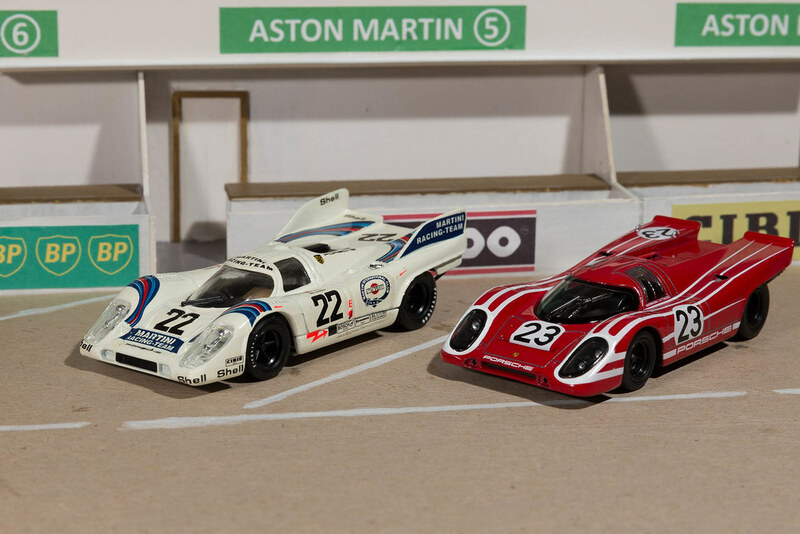 Next time Brumm Porsche 917 model comparisons and CMR 1985 956L. 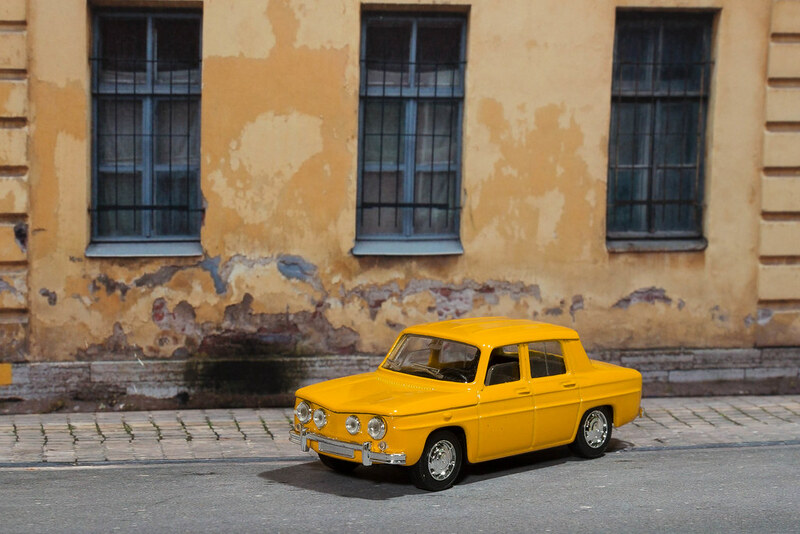 This is an old Brumm model, the quality is pretty good and there is a good weight to the model (the key to cheaper models is that they are OK as long as the wheels aren't too complicated a design e.g. wires). 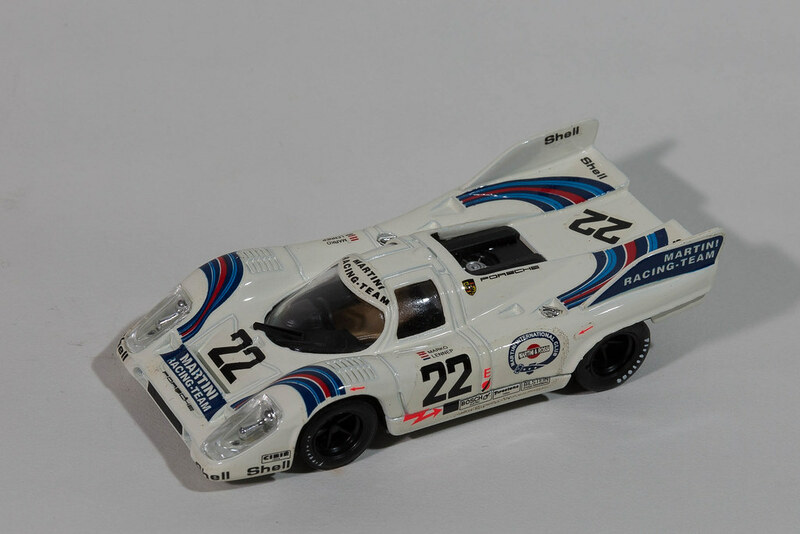 Here with a 1970 team Wyer Gulf 917 (Monza 1,000Km), interesting to see the different aero (I prefer the Gulf car). 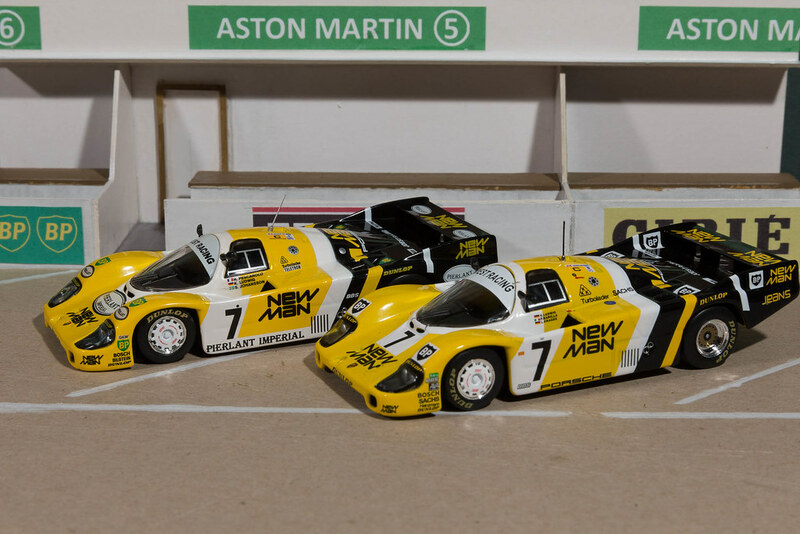 Difficult to tell apart, the car at the front is the '85 winner, a CMR model really good quality for a reasonable price £26. 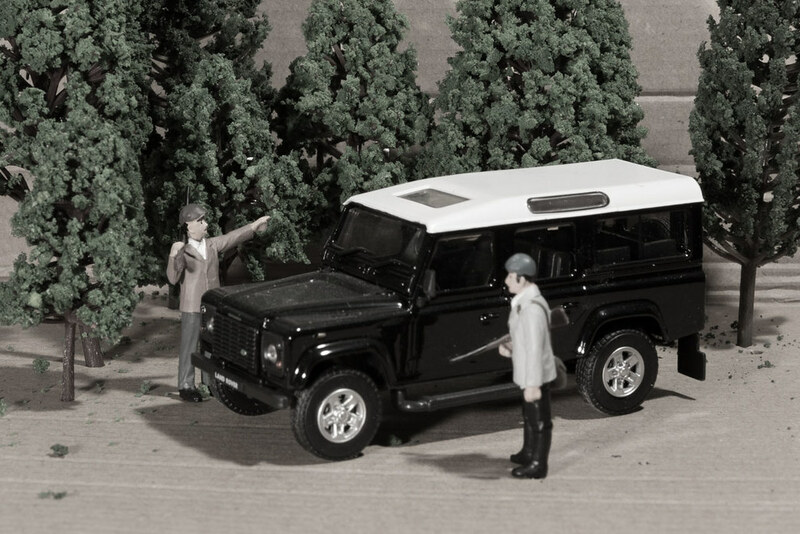 I don't know the make of the '84 model but it looks suspiciously similar to the CMR model and ixo models. 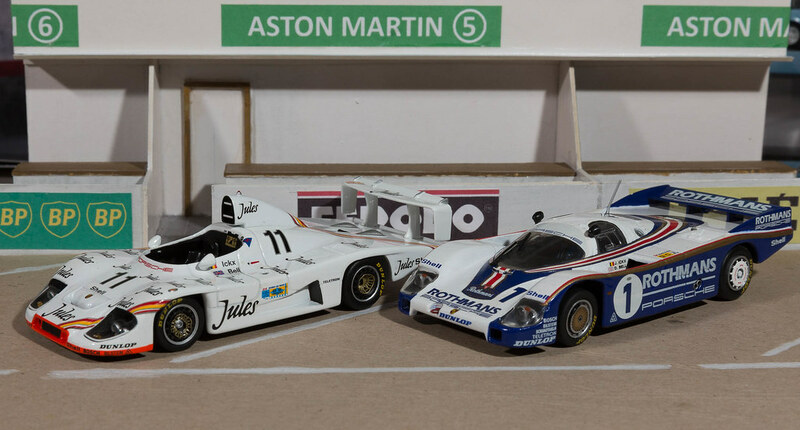 This shows the liveries off better, not much difference in the cars them selves which says something about the dominance of the 956 in the '80s. Then I need to think about a better more appropriate diorama background. 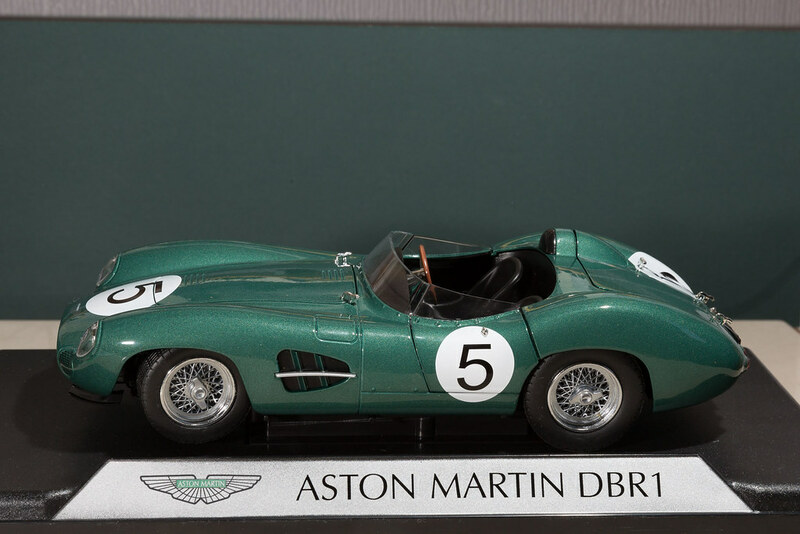 I think that is age dependant, for me nothing beats an Aston Martin DB4GT Zatoga or in fact pretty much any of the DBR (DBR1/300) and Project (DP212, 214) sports racers. Astons... Hmmmm. Is it time for a "what's the best sounding motor ever" thread...? Have you got a copy of, or heard of, the Nick Mason book 'Into the red'? As Monty Python used to say... and now for something completely different. 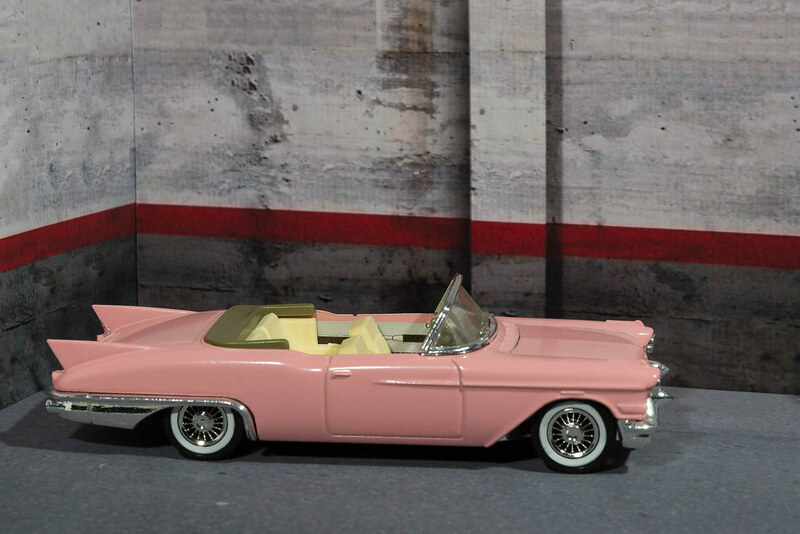 A Pink Cadillac complete with a Car Hop, roller blade waitress. Yeah she's going to spill the milk-shake all over the nice pink paintwork. Need to work on the photography the background is meant to be white. 1957(?) Cadillac Eldorado* Biarritz Cabriolet, model is a Solidio "Age d'or". It would be nice to get a '59 version and even better a '59 in black re the Springsteen track. 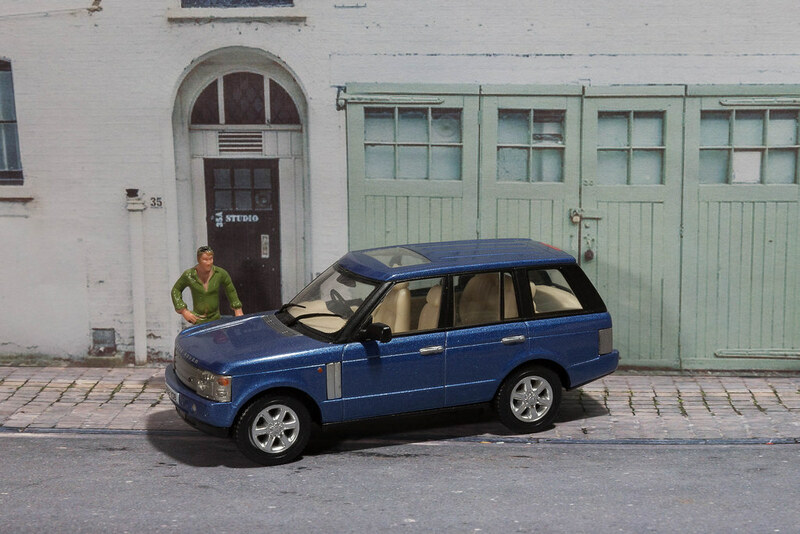 The Car Hop is an Owen Miniatures figure bought painted. *Is it an Eldorado, the model base doesn't say so but image searches on google do? What's better with or without Diorama background? 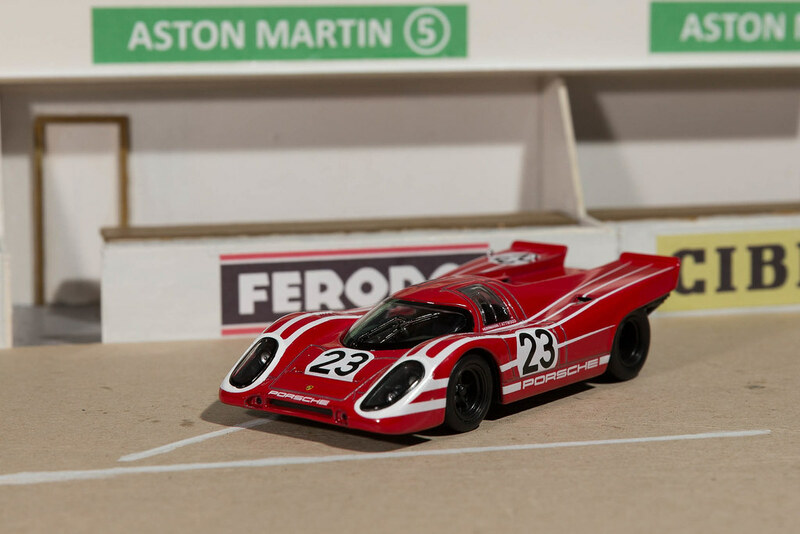 Porsche 917K Le Mans winner 1970, (Herrmann, Attwood), this is a Welly model although the box is labelled Porsche Museum. 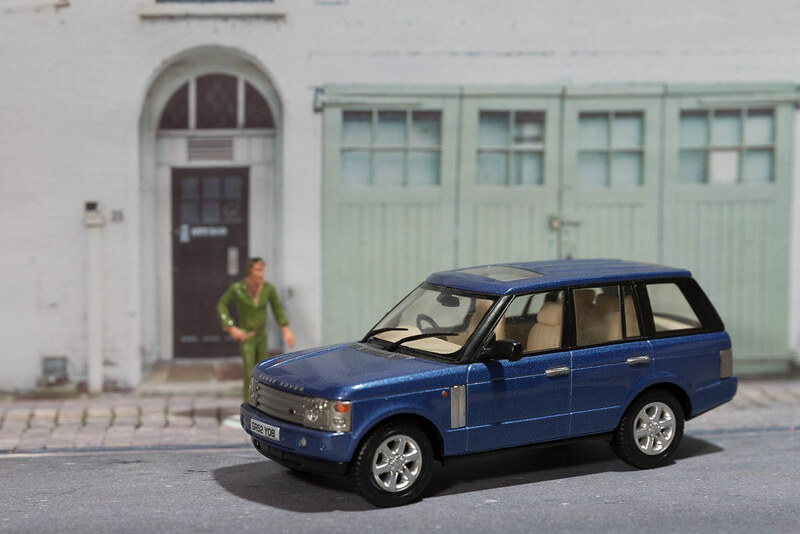 Good quality model at a reasonable price, £19.95 (well considering IXO and Spark at £50-£80. 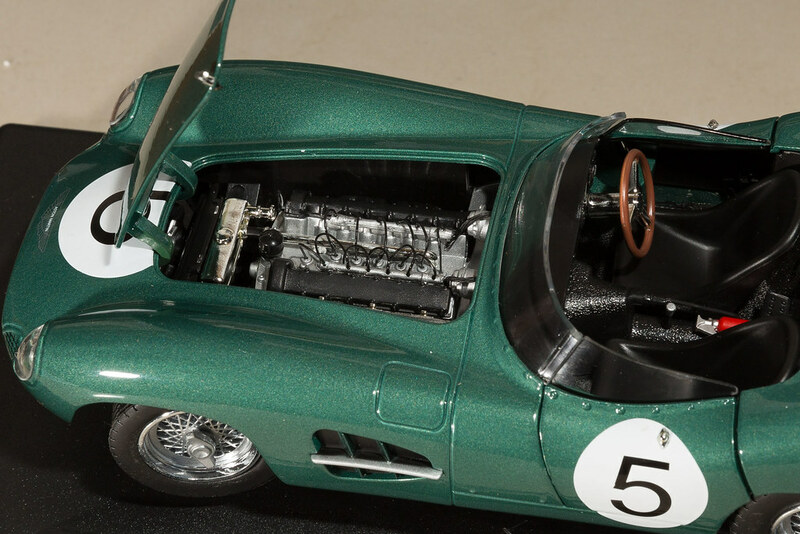 There are some nice details, rear suspension, lights either side of the race numeral. 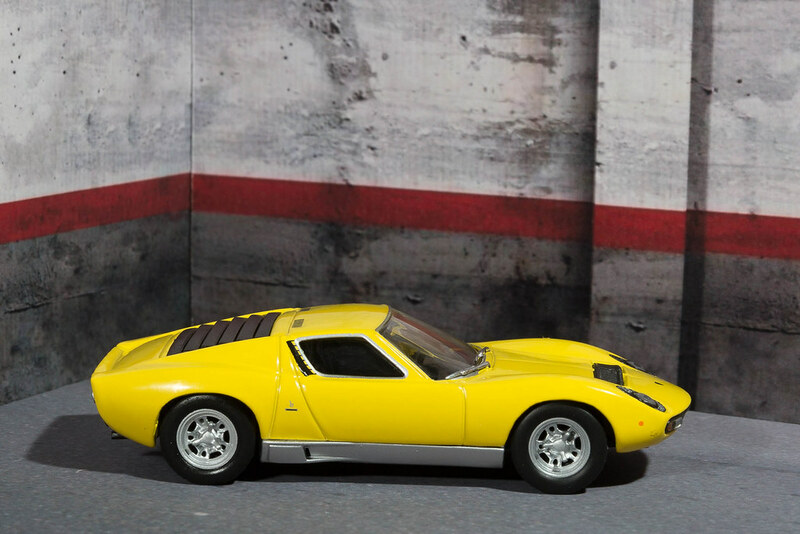 and as a comparison to the 1971 winner, I prefer the (1970) long-tail versions. 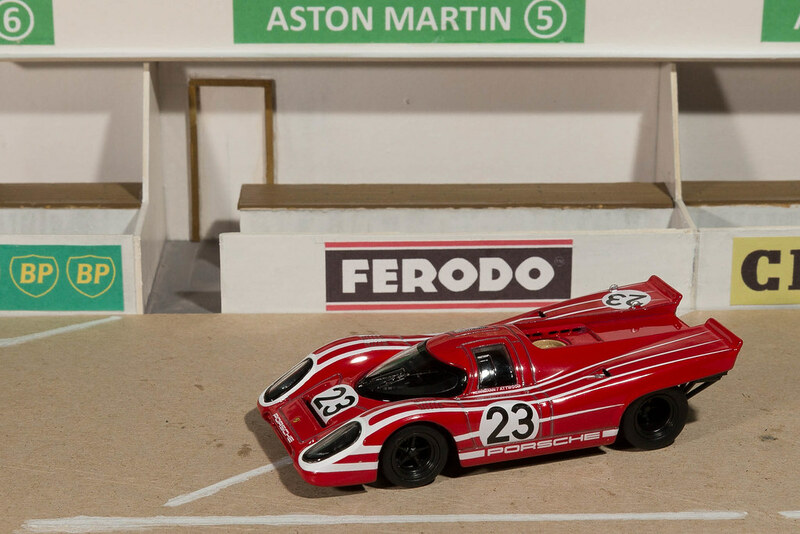 Earlier on luckyseven made a comment about the 917's being "...heart-stoppingly beautiful..." and I replied that I preferred Aston's, well here's another contender for best looking car ever. The model is a cheap Atlas model, the wheels are a bit bright, but overall not bad. 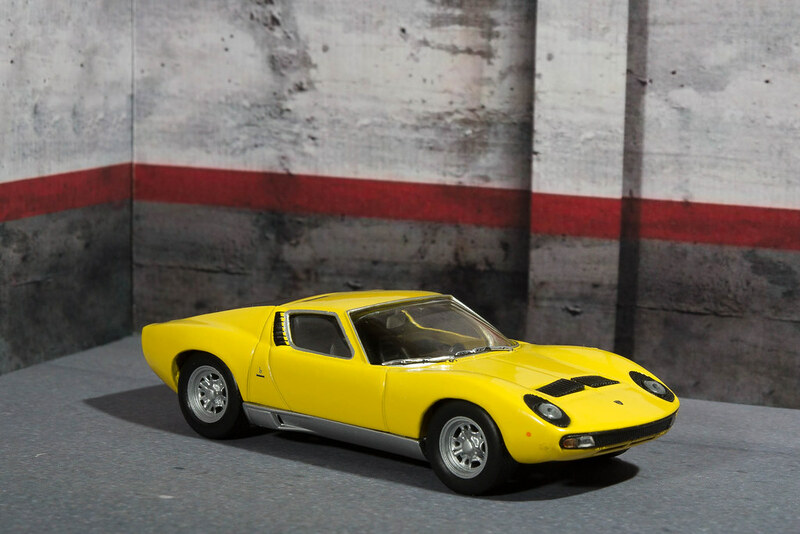 The below are Solido models, quite nice, the yellow one is called a R8S on the box,m but looks like a Gordini to me (need to get a blue with white stripes model;). I have to say mine, which had been my mum's and was passed on to my sister, didn't look as nice as the model is. It ended up hand-painted a dull red. Trying another background, this time self built. 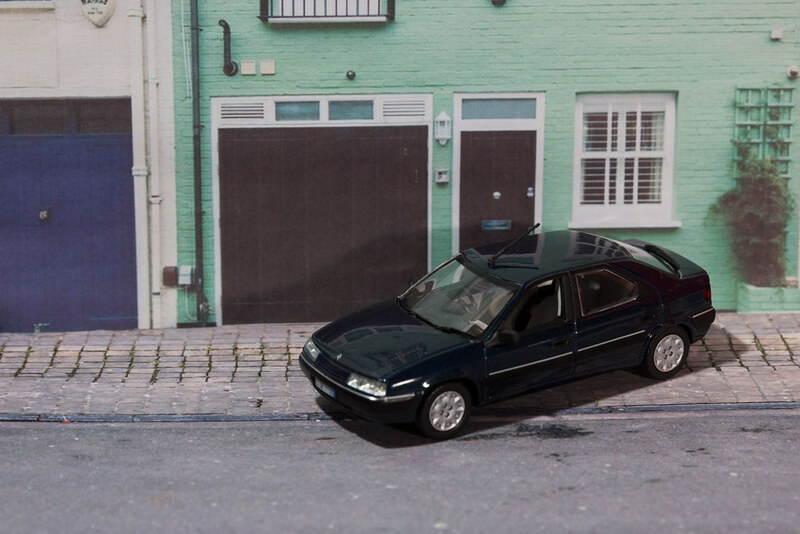 I got some images of Mews houses from expensive London estate agents and scaled them, roughly, to 1:43 and added them to the roadway from the French street scene. Works quite well, this is only printed onto normal paper would be better on to photo paper. 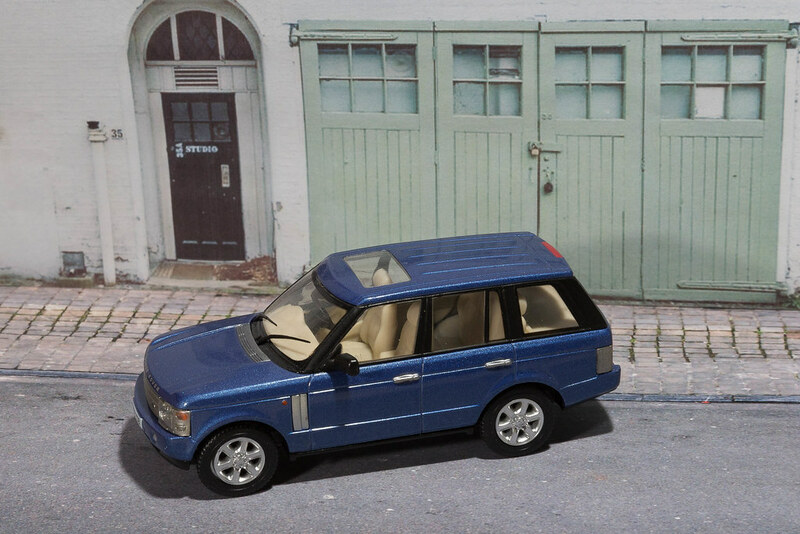 Thought I'd pose some Range Rovers, first a Monte Carlo blue L322 (Vanguard model),our D2 is Monte Carlo blue and I'd love to get a L322 RR. I think it looks better with the background slightly out of focus (f8.0 instead of f20, did try f4 but that goes too far. 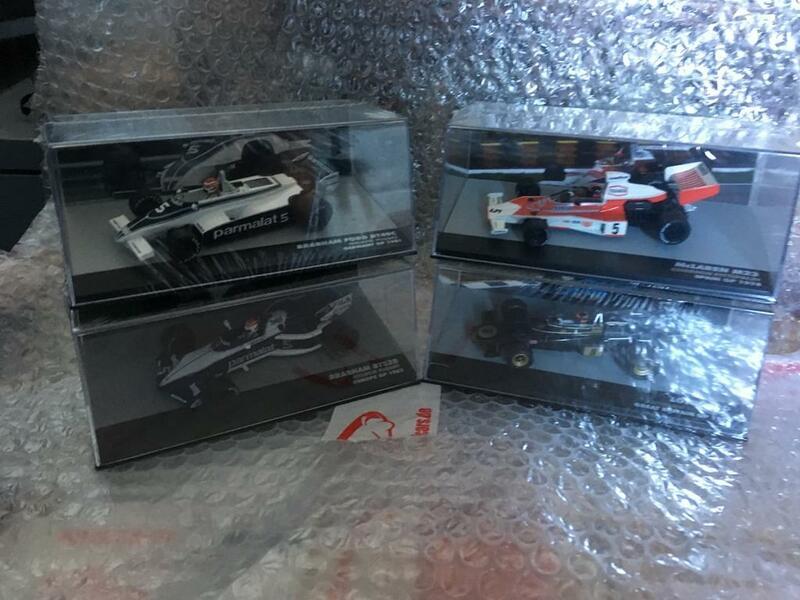 Just got a delivery from CK-Modelcars (www.ck-modelcars.de), they had some special offers so added to my F1 World champions collections with some Altaya models at £12.45 (inc p&p) each. Emerson Fittipladi Lotus 72D (1972) & McLaren M23 (1974), Nelson Piquet Brabham BT49C and BT52B (1981 & 1983). 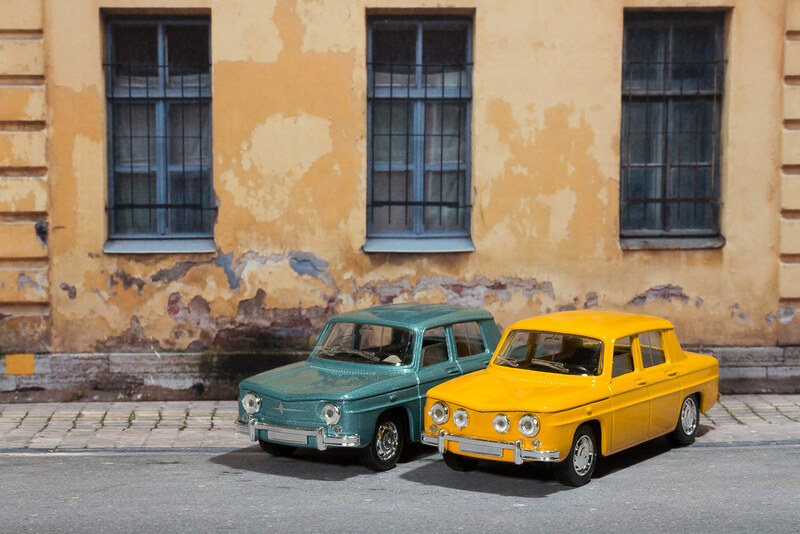 Although they're at teh cheaper end of what's available they're very good models. I'll take better picture later, I think I might need some cigarette logos fro the Lotus'. 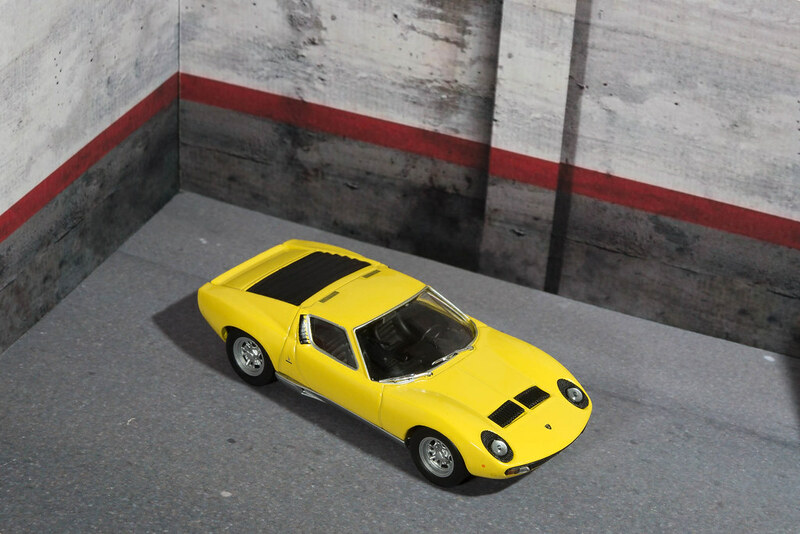 Really impressed with CK-Modelcars, came with a glossy colour brochure (tempting*) and some Altaya posters of modern Le Mans racers. 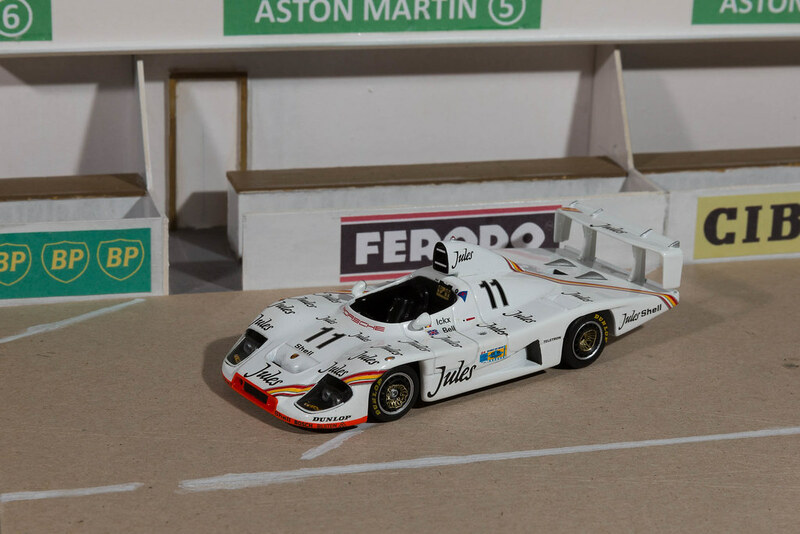 * very tempted to have a small collection of Jägermeister sponsored cars, or some more Greenlight 'film' cars. 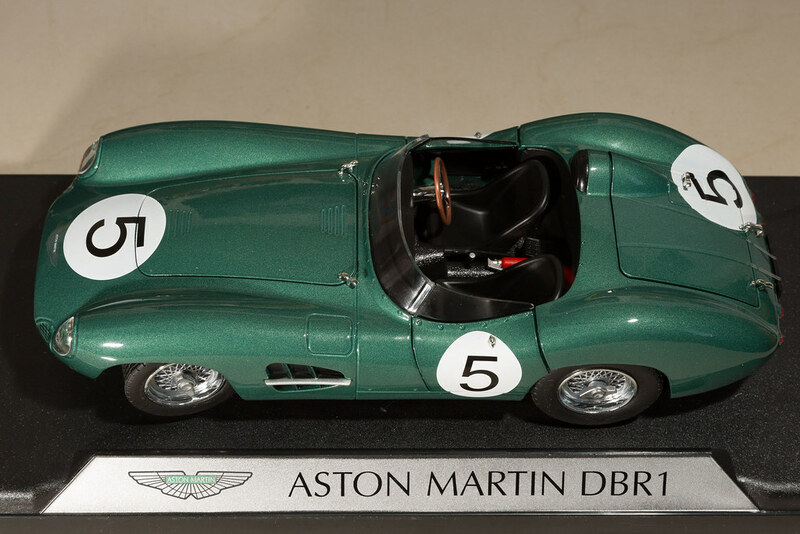 Ohhh just seem CMR do a 1:18 Aston Martin DBR1, Le Mans winner €59.95 link. 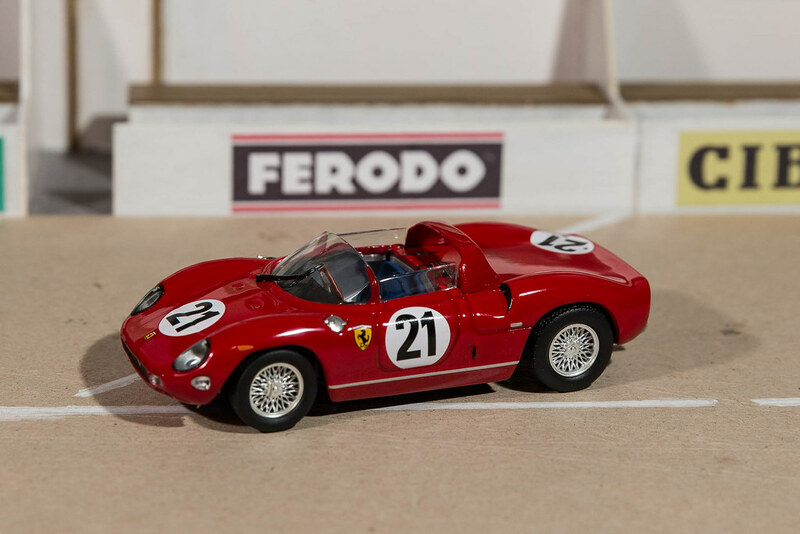 The catalogue is pure temptation, although mainly 1:18 models. Ordered some JPS decals from eBay. 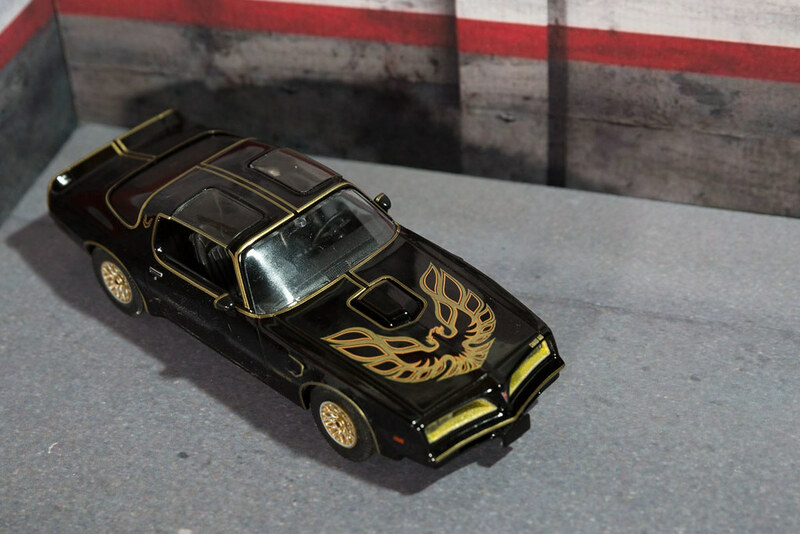 Will add Marlboro decals when I've practised with the JPS ones, long time since I've applied any decals. 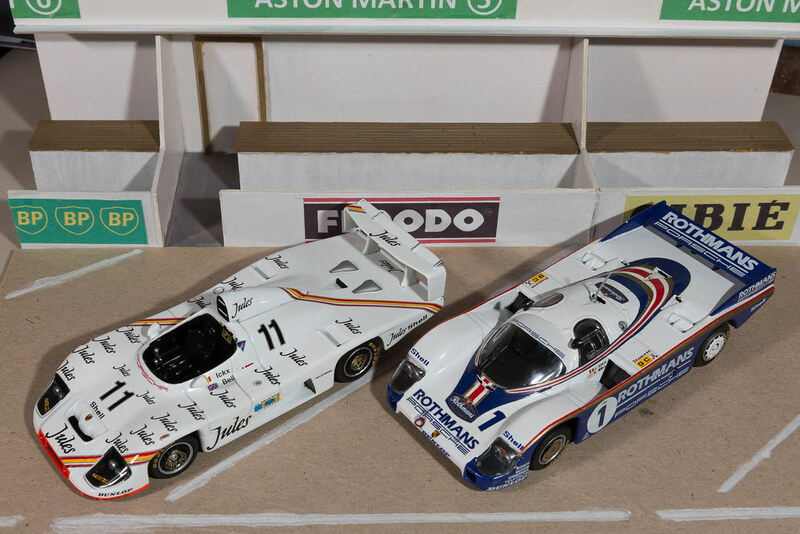 Adding to my collection of F1 and Le Mans winners since I was born, (currently 65% & 37% complete respectively). 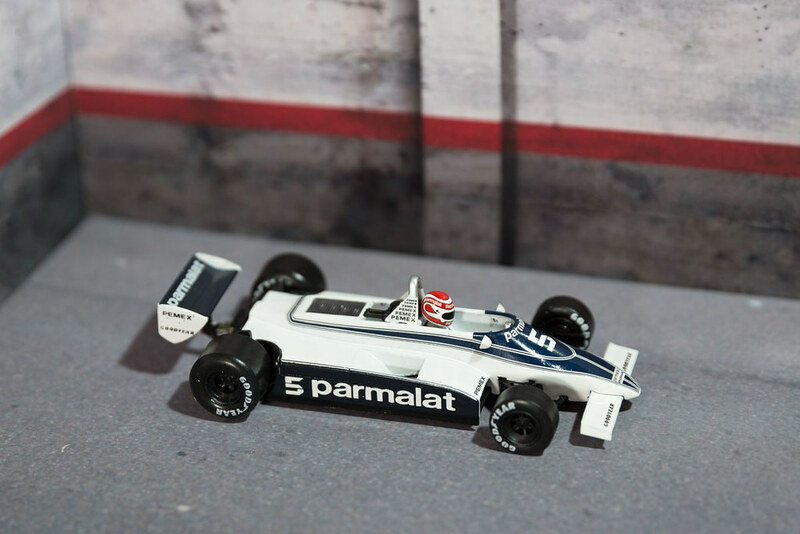 Nelson Piquet Brabham BT49C, 1981 F1 World Champion. 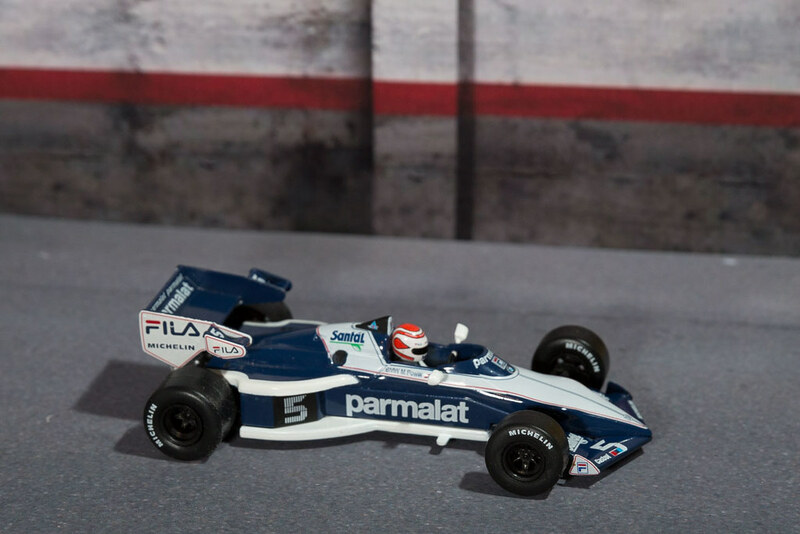 Nelson Piquet Brabham BT52B, 1983 F1 World Champion. For the price (especially the sale price) I think these are really good models with possibly only the tyres letting things down. Need to sort out a more suitable back-scene as well. I'll wait until I've added the tobacco sponsor decals to the Lotus' before I add images. In my absence from RR I've added a few other models. 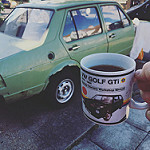 One of my other themes are cars I've owned (including company cars), I recently bought a Norev Citroen Xantia (mine was a 16v but same colour). Expensive for a boring road car and had to be ordered direct from Norev in France. There's a bit of a cheat here as the model is LHD. 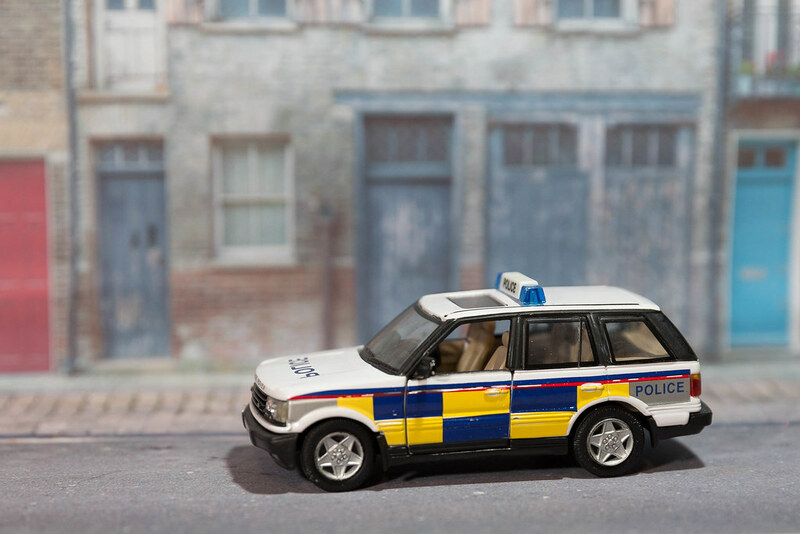 I want to get a model of a Citroen BX 16v, but the only ones I can find are a BX Sport (only in Europe and expensive) or a resin kit, might have to bite the bullet and break out the modelling tools. At Christmas my wife bought me some model trees as a joke present, not the most reaistic but adds a bit of background. 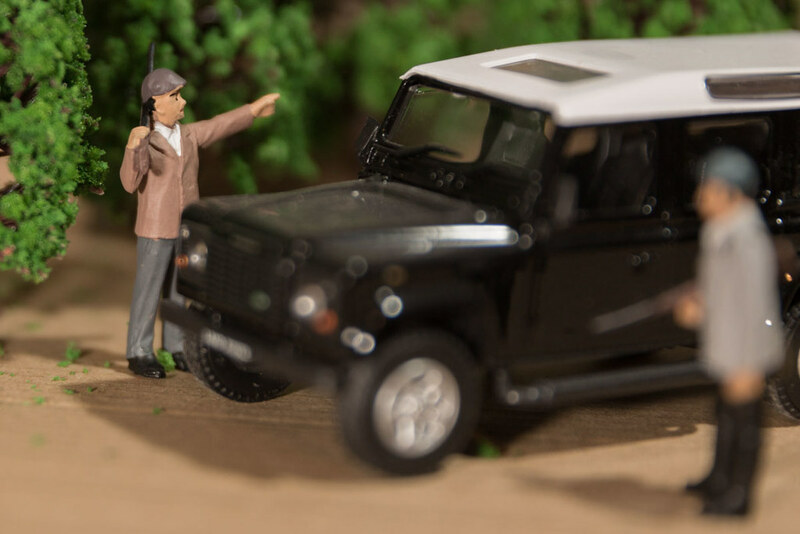 Some initial experiments, with a model Land Rover. 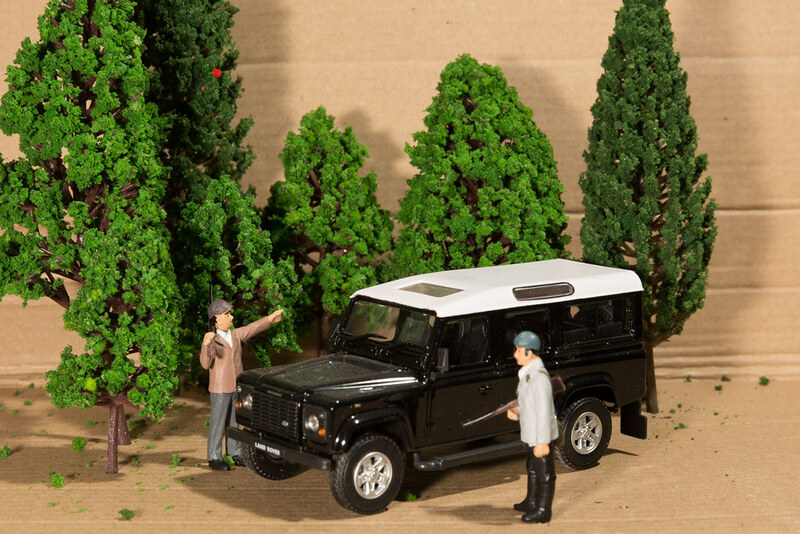 The figures came from a 'Renault 4L - Une partie de chasse - La Route Bleue' 1:43 IXO Altaya model bought specifically for the figures. Thought I'd try a de-saturated version, would be good to try a colour popped version. 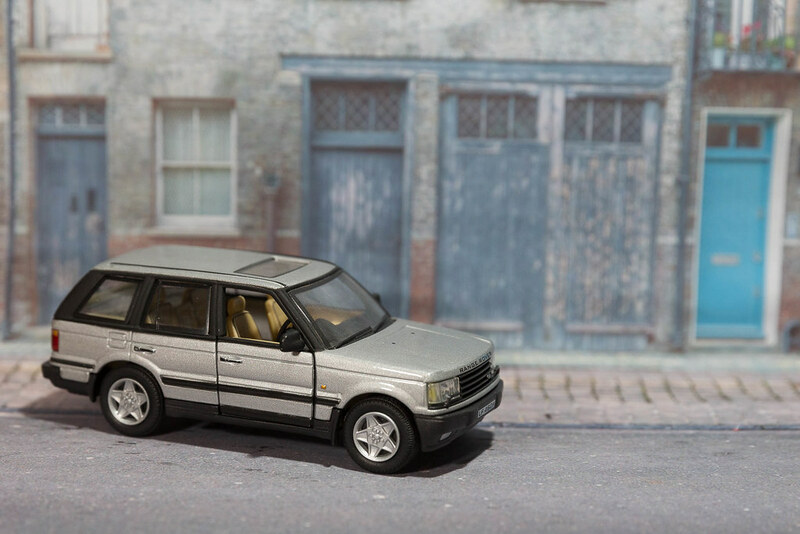 Need to sort out the base and 'weather' the Land Rover (Vanguard did do some weathered models, but I don't think they did a Land Rover). 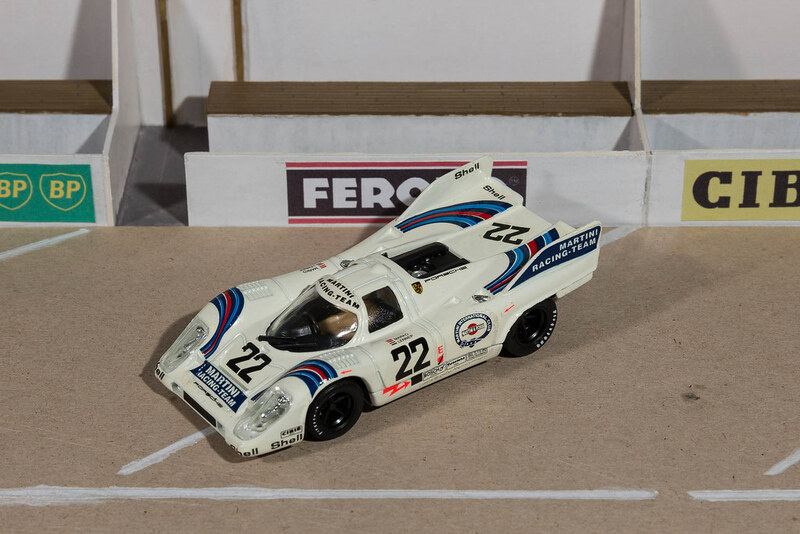 I think this figure would go better with a black Lamborghini Countach (Gumball Rally). 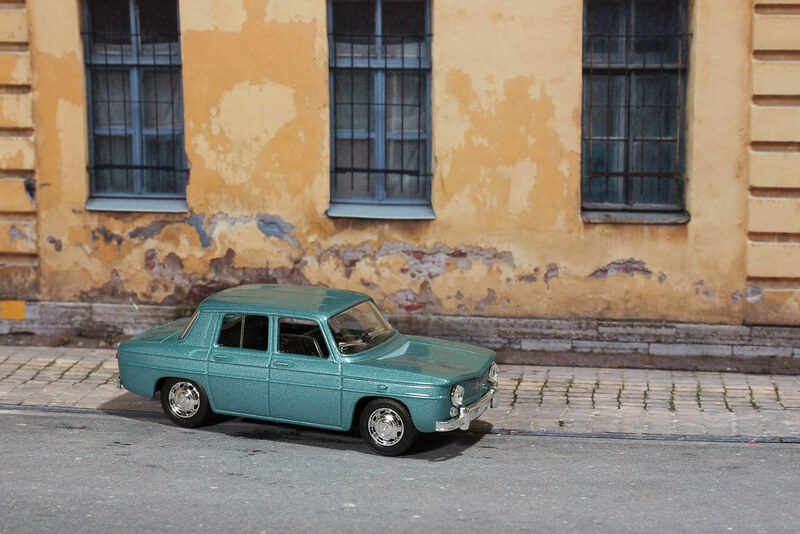 A nice model, maybe a bit shiny and it doesn't have the tonneau cover over the passenger seat. Didn't come in a display case so I'll need to make something if I want to display it.